Are you looking for an automotive scanner? 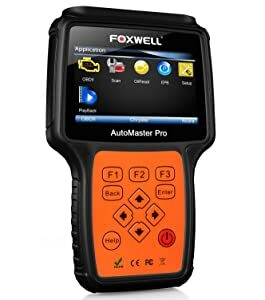 FOXWELL NT624 PRO is a professional diagnostic scan tool which features multiple functions. 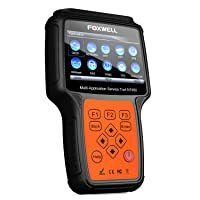 FOXWELL NT624 Pro is one of the most reliable scan tools currently in the market. 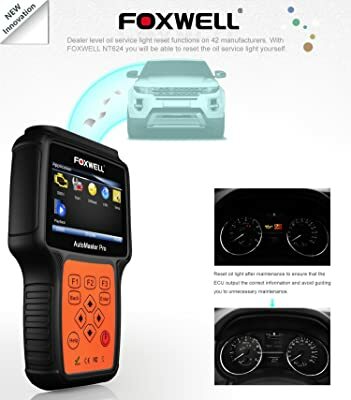 If you want a product which provides accurate readings and covers wide vehicle coverage, then FOXWELL NT624 PRO is your choice. After testing this device, we noted that it supports functions such as ABS, oil light reset and the EPB service function. The NT624 Pro has been developed with functionalities which combine the manufacturing expertise, technological innovation, and industry knowledge. This enables this device to offer a broad portfolio including the scanners, OBDII code readers, data logger devices, electrical brake tools among others. 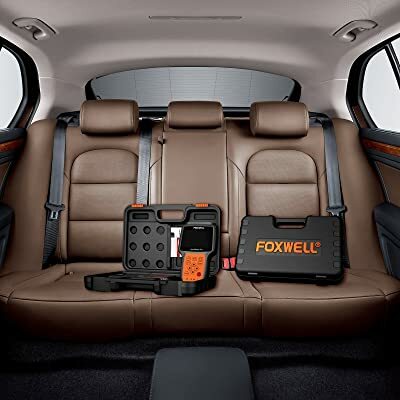 When using FOXWELL NT624 PRO, it has the capacity to diagnose all the electronic units on your car. It quickly displays the test results showing all the errors detected. This scanner will allow you to view errors as well as clear them in a single click. This auto scanner has special functions such as oil service reset, ABS light reset and EPB service. 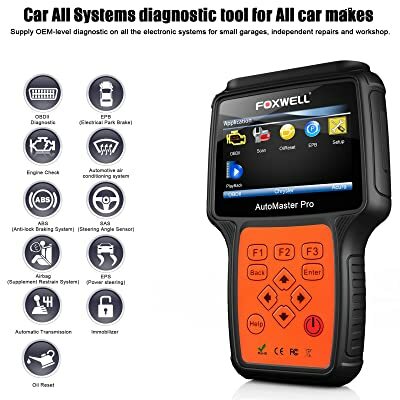 FOXWELL NT624 PRO is a car all systems diagnostic tool for all car makes. NT624 Pro also has the backlit color display, menu-driven operation and arranged keypad which makes it easier and faster. Always note that this gadget supports only 8 to 18V vehicles. In case you use it on the 12V trucks, the screen might get burnt out. FOXWELL NT624 PRO has lifetime online upgrade. All you have to do is to install the SD card on your PC or an SD card reader and log into the application to update. In case the scanner turns black or white, check if the SD card is loose then unplug it and re-insert to the machine. Also, format the card when you have a problem and re-download the software from their official website. For easy understanding, download the user guide and get insight into technical specifications plus the steps to update your device. In case you experienced some difficulties contact the customer service to get help. This FOXWELL NT624 PRO is handy and easy to operate. It has arranged keypad, shortcuts, menu-driven operations and an impressive 4.3” color display which are extremely easy to use. NT624 Pro is a handy OBD2 scanner which is easy to operate. When we tested, we experienced less difficulty, and NT624 Pro supported all the OBDII test modules which include the live data, sensor test, component test and many more. 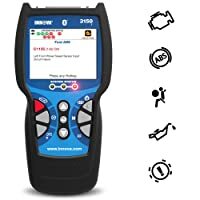 One button in this scan tool can enable you to read codes in ABS, engine, transmission, electronic parking brake, air conditioning control, EPS and other functionalities. With this device, you can also request and record live sensor data with ease. FOXWELL NT624 pro has been designed and sturdily built. This enables this device to withstand adverse conditions that most electricians and mechanics go through when working on vehicles. Foxwell NT624 Pro has an ergonomic design that allows you to grasp the device well and to fit your hands perfectly. The ergonomic design allows you to grasp the device well and to fit your hands perfectly. These features also enable users to be real and erase codes with ease and comfort. Compare to other scan tools, this device gives accurate readings quickly with ease. All you need to do is to press the button, and it will automatically scan and read the codes. It can test and read codes in the engine, ABS, Transmission, Electronic, EPS, air conditioning control and parking brake service. The strength of FOXWELL NT624 pro is that it supports multiple functions not common in most diagnostic tools. It can support the EFB service; ABS service reset, oil service resets and electrical park brake service. When it comes to reading codes, it has an impressive backlit color display which is easy to read. Also, this gadget is compatible with most cars and can be upgraded online. The weakness of FOXWELL NT624 Pro is that it sometimes fails to perform a test in some vehicles even created after 1996. The company should also consider improving the customer services to enable users to get help when necessary without having to wait for long. 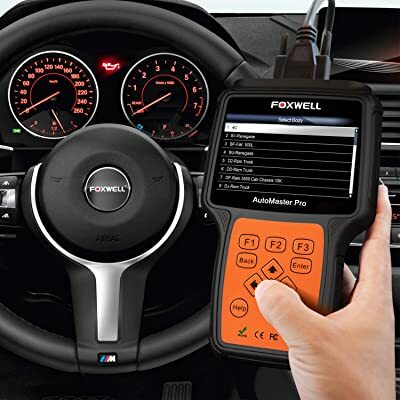 FOXWELL diagnostic tool is compatible with almost all OBD2 cars, minivans, SUVs and a light-duty trucks that were sold in 1996 and after. It can read and clear the system fault quickly in about 61 vehicle manufacturers. This device fully supports all the OBD II protocols and all the test modes which include live data, read fault codes, O2 monitor test, enhanced OBDII mode 6 and onboard monitor test. This makes this device ideal for your garage or private use. FOXWELL NT624 PRO supports all system series that is developed by the most distinguished experts of the industry. Displays codes that are easy to read. Compatible with most OBD II cars. Can automatically scan all electronic control units. Have features that are user-friendly. It gives quick and accurate results. The brand is good, but the customer service is poor. This device is relatively expensive compared to others. Bottom Line It is a perfect choice for DIY consumer and professional mechanics It is recommended for any professional tech. It supports more functions ideal for someone who has a garage. 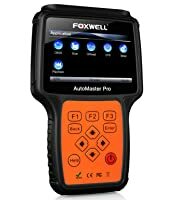 FOXWELL NT624 Pro is one of the most reliable scan tools currently in the market. It supports many special functions which include EFB Service, oil reset, ABS, SRS, transmission among other important functionalities. 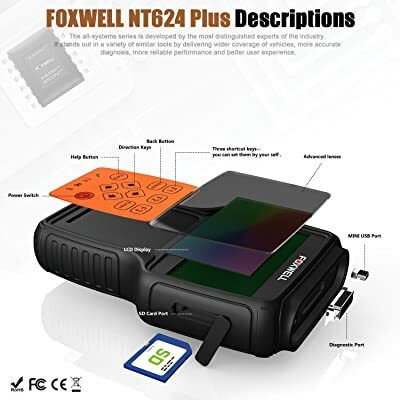 If you want a product which provides accurate readings and covers wide vehicle coverage, then FOXWELL NT624 PRO is your choice. When compared with Launch X431, Innova 3150f, and Autel Maxisys, it supports more functions ideal for someone who has a garage. Always go for the diagnostic tool which is easy to use and has extra features.